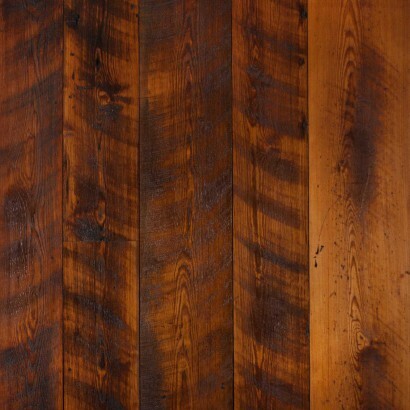 Reclaimed Heart Pine was once an abundant timber found across the Southeastern United States. Its availability and simple beauty made it one of the most widely used timber in factories, warehouses, and homes during the 19th century. Reclaimed Heart Pine is full of character including knots, nail holes, checks and cracks. Due to over harvesting in the 1800's, you can only get this wood through salvaging it from old structures.